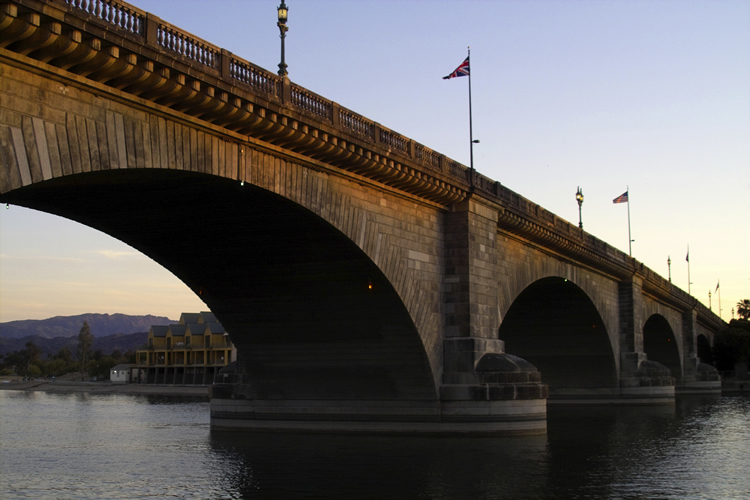 Lake Havasu City, Arizona, home of the world famous London Bridge. Our beautiful city sits along the eastern shore of the Colorado River, approximately 200, miles northwest of Phoenix, Arizona, and 150 miles south of Las Vegas, Nevada. We enjoy a beautiful climate and Sonoran desert scenery.